Jessica Lange Signs on to Ryan Murphy’s Ticket Yet Again on The PoliticianThe series stars Ben Platt. Every Member of the American Horror Story Ensemble, RankedWho’s the best actor in Ryan Murphy’s horror anthology? Jessica Lange Is Officially Returning for American Horror Story: ApocalypseIn season eight, the AHS veteran will reprise her role as Constance Langdon. Feud’s Tepid Writing Doesn’t Do Its Actors or Its Subjects JusticeRyan Murphy’s limited series is a critique of Hollywood misogyny that fixates on its female stars’ pettiness and cruelty toward each other. See How Feud’s Actors Compare to Their Real-life CounterpartsSusan Sarandon as Bette Davis! Jessica Lange as Joan Crawford! Watch Bette and Joan Wage the Backstage Battle of the Century in Feud TrailerStart mixing your martinis now. See Susan Sarandon and Jessica Lange in FeudSimply divine, darling. 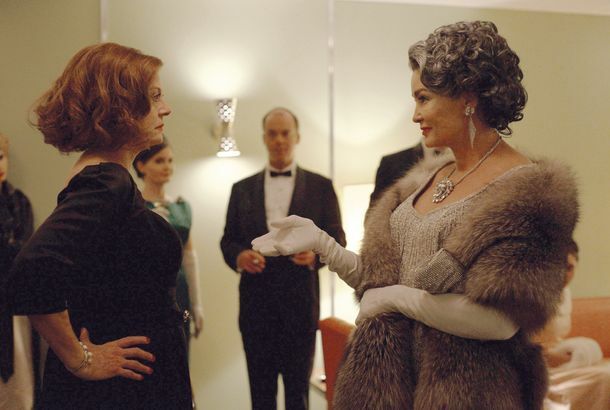 FX Orders Ryan Murphy’s Feud Anthology SeriesFeud’s first season stars Susan Sarandon as Bette Davis and Jessica Lange as Joan Crawford. Jessica Lange Will Cover Lana Del Rey on AHSBut what will she sing? Jessica Lange on Her AHS Singing Scenes “I mean, who knows how Ryan’s mind works? 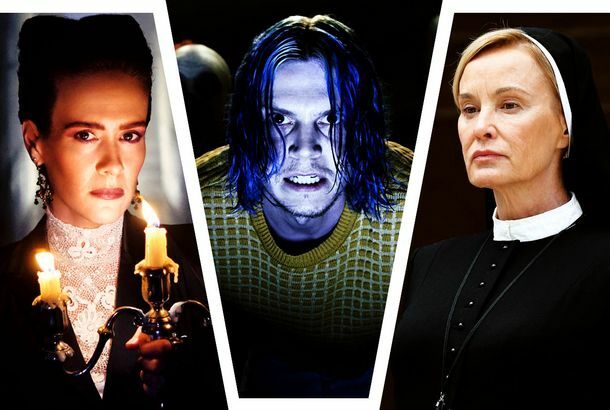 Can You Spot All of American Horror Story: Asylum’s Cinematic Homages?Crab-walking, sperm flinging, alien abduction, and more. American Horror Story Renewed for Third SeasonObviously! Jessica Lange Swayed Her Way Through the BanterPlus: Charlie Cox honed his Boardwalk Empire accent by way of Belfast priests, and more, on our daily late-night roundup. See Adam Levine in American Horror StoryRyan Murphy adds splashes of maroon . Jessica Lange’s New American Horror Story Character is a NunBut one with a love interest. Jessica Lange Subs in for Glenn Close in Therese RaquinWhere she’ll star opposite Elizabeth Olsen. Zachary Quinto Is New American Horror Story LeadHe’ll play the antagonist to Jessica Lange in the second season. Horror Story’s Second Season Will Be ‘The Jessica Lange Show’According to Ryan Murphy. Ryan Murphy Says Jessica Will Be on American Horror Story Next SeasonSadly, he did not share specifics. Last Night on Late Night: Kim Kardashian Can’t Stand This About Kris HumphriesPlus: Anna Faris couldn’t recycle any of her old flames, and more, on our daily late-night roundup. Industry Roundup: Emma Watson, SpitzerPlus: J. J. Abrams’s heist flick gets a screenwriter. Before You Watch Grey Gardens on HBO This Weekend… here are some some excellent prep materials for you. 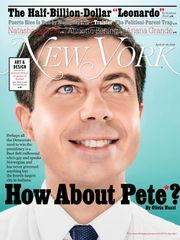 Why HBO’s ‘Grey Gardens’ Put the Hamptons in … Toronto?You can re-create sand dunes, but you can’t re-create tax breaks. ‘Aliens vs. Predator: Requiem’ Trailer: In the Theater, No One Can Hear You PukeYou’re all going to die — gruesomely! No, seriously, it’s gonna be really gross.